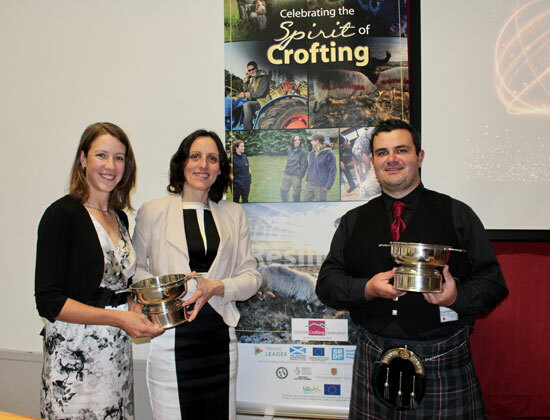 Yvonne White, a crofter from Kingsburgh on the Isle of Skye, has been appointed to lead the Scottish Crofting Federation (SCF). At a board and council meeting held in Inverness last Friday, two new vice-chairs were also nominated and approved. SCF chairs serve for two years. All SCF office-bearers are unpaid and Ms White has already served on the board of directors for four years. Ms White crofts with her husband at Romesdal, on the Isle of Skye. They keep a fold of pedigree Highland cattle and Cheviot sheep. Ms White is also chair of the Kingsburgh common grazings committee and sheep-stock club and acts as secretary for the local community woodland, Kingsburgh Forest Trust.